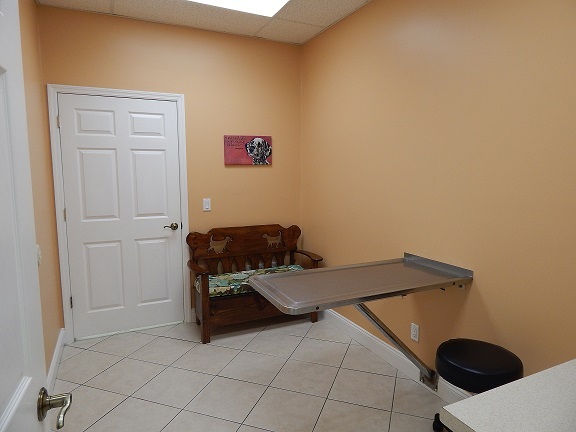 Exam room 1 is for our larger pets that we see. Room 1 does not have a table so that there is more room for our "floor-model" patients. 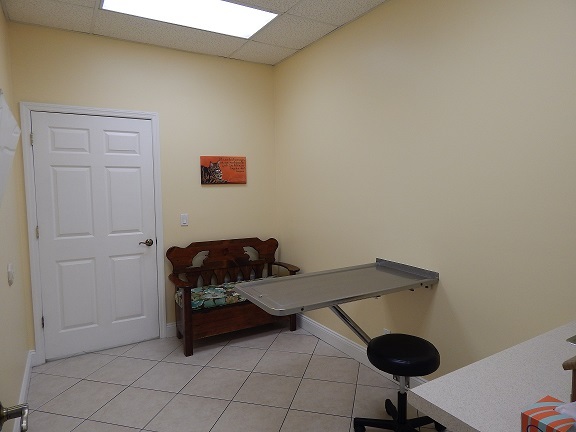 Exam room 2 is for our medium to small sized patients who require a table during the exam. 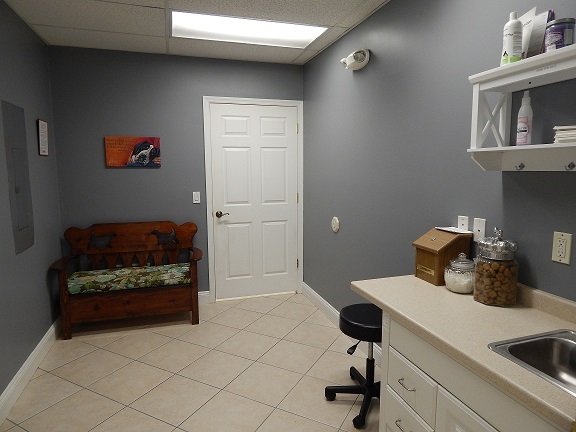 Exam room 3 is our Kitty Room. 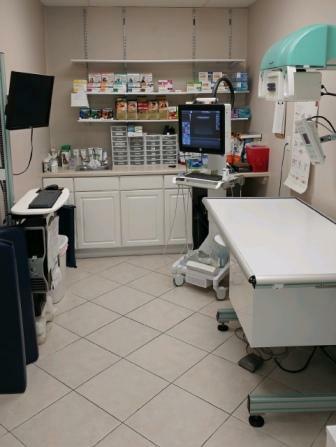 We have a cat only room to ease the process of the veterinary visit for our feline patients. 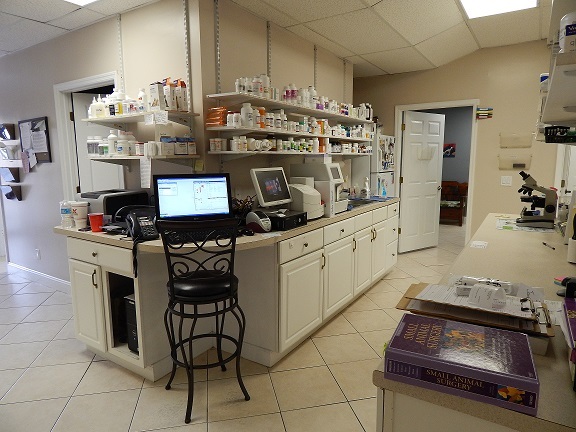 In our laboratory we can run CBC, Blood Chemistries, Urinalysis, and an assortment of other diagnostic tests. 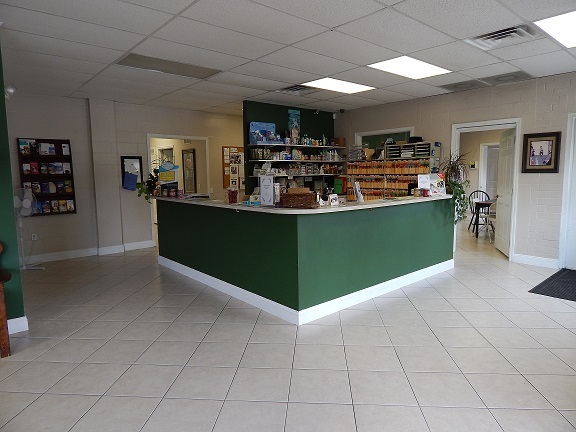 We also have a fully stocked pharmacy for all of your pet's needs. 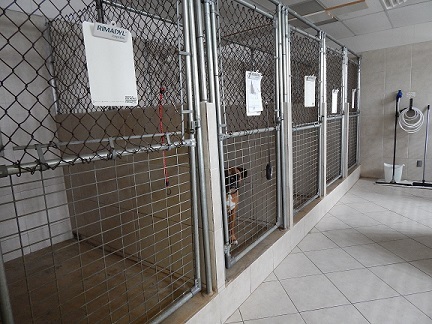 Pets that stay in our large kennels get a blanket, bed, and an assortment of toys to play with. They are let out to play in our spacious, fenced in back-yard three times a day. And the kennels are thoroughly cleaned and changed out daily. This is our room for our feline friends that come to visit for a while. 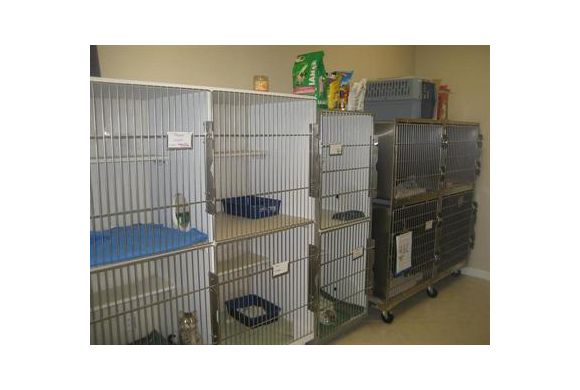 We have 2 kitty condos and several large cages for the kitties to call home while they stay with us. This room is exclusively for cats that come to stay, that way the stress of being away from home is minimized as much as possible. 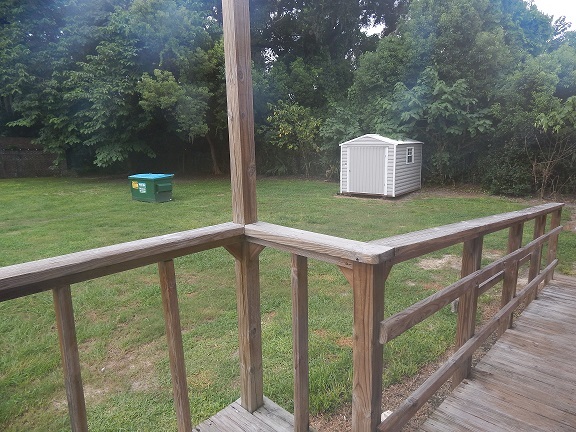 All of our boarders get their chance to play in our spacious, fenced in backyard three times a day. 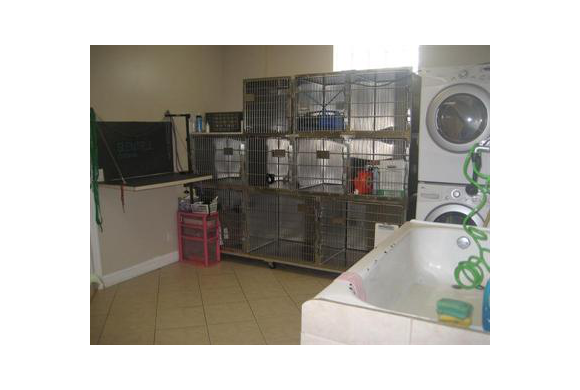 We have a variety of toys here that the kennel technicians employ to entertain your pets while they stay with us.